Since our win at Dean Court against West Ham, there has been a ten-day break between our game and our next visitors. The next side to visit our ground will again be another London club, Chelsea. It seems in the last two seasons they are the club we have played most, which includes cup games. This will be the toughest of our recent home games since the Liverpool game, under the Dean Court floodlights, hopefully, it will be a cracking game to watch. In the January transfer window so far Chelsea have signed two players. American midfield player Christian Pulisic from Borussia Dortmund for £57.6 million, but they have let him stay there for the remainder of this season. Chelsea have been looking for another striker and amongst their reported targets was our player Callum Wilson. Their main target and who they have managed to sign on loan until the end of the season is Gonzalo Higuain from Juventus, Chelsea also reportedly have the option to buy the 31-year-old for a figure of £31 million. Both Higuain and the Chelsea manager Maurizio Sarri were together at Napoli in Sarri’s first season in charge. Higuain had spent three seasons at Napoli, but in his last season and Sarri’s first at Napoli, the 2015-16 campaign, Higuain had his best ever season in Serie A. He scored 36 goals in 35 league games, the Argentinian breaking Gunnar Nordahl’s 66-year-old Serie A record, and equalling Gino Rossetti’s tally set in 1928-29, the season before Serie A was formed. Going out on loan is Victor Moses, he will be joining Turkish club Fenerbahce until the end of the season. Since our last game in September in the Premier League, Chelsea in that month beat Cardiff City at home 4-1. Then drew away against West Ham 0-0. The last game of the month was at Stamford Bridge against Liverpool, it ended 1-1. October started with a 0-3 away win at Southampton. It was back home again with the visitors being Manchester United, the game ended 2-2. Last game of the month Chelsea travelled up North to play Burnley, Chelsea came back with three points after winning 0-4. November began with two home games, first Chelsea beat Crystal Palace 3-1. Their next game was against Everton, it finished 0-0. The last game of the month ended in a 3-1 defeat at Wembley against Spurs, it was Chelsea’s first defeat of the season so far. December was a busy month, with seven Premier League games, a Europa League game and the League Cup Quarter Final against the Cherries. Back to the league and Chelsea got back to winning ways beating fellow London club Fulham 2-0. Next, they travelled to Wolverhampton and were beaten by Wolves 2-1. Next it was back home with a 2-0 win against Manchester City, which followed with a 1-2 win away at Brighton. Then back home they lost 0-1 against Leicester City. The last two games of the year ended in away wins, at Watford 1-2 and 0-1 at Crystal Palace. Into the New Year and into January with two home games, the first game a 0-0 draw against Southampton. This was followed with a 2-1 win against Newcastle United. Then they lost at Arsenal 2-0. Chelsea will have played four league games and four cup games by the end of the month, including the game at Dean Court. In two months they will have played seventeen games, against the Cherries thirteen. We have so far not beaten Chelsea in the Premier League at Dean Court. From the first season we played them and up to last season, the goals they scored against us have decreased. In the 2015-16 season, they won 1-4. 2016-17, it finished 1-3. Last season (2017-18) it was 0-1. We have beaten Chelsea once at Dean Court in a competitive game. It was the first time we have played them, it was a league game in the old Division 2 in September 1988, the Cherries won 1-0, our scorer was Richard Cooke and the manager Harry Redknapp. 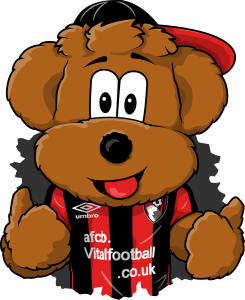 In all league games at Dean Court AFCB have Won 1, Drawn 0, Lost 3. 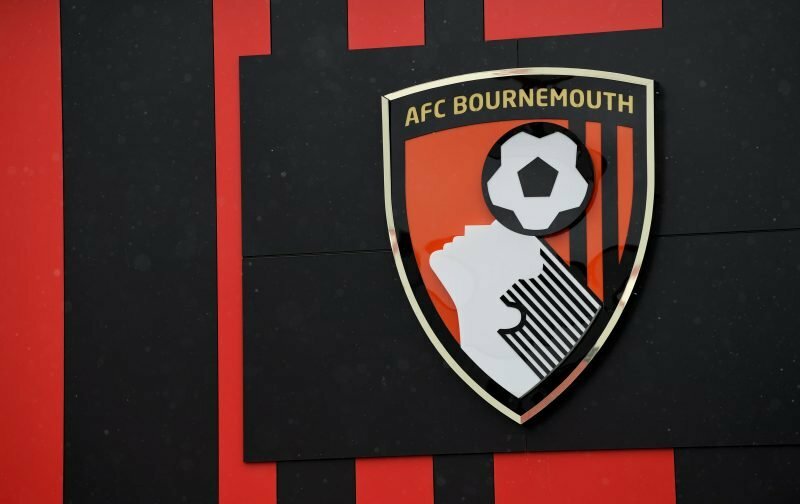 In all competitions, AFCB have Won 3, Drawn 0, Lost 10. Callum Wilson is a slight doubt with a knee injury, the ten-day break with a bit of luck would have helped. The usual trio at home, David Brooks, Ryan Fraser and hopefully Callum Wilson. Except for one long term injury, Chelsea seem to have a full contingent to pick from. Should see players who were rested for the FA Cup game come back for Wednesday’s match. Eden Hazard being one. Eden Hazard always a thorn in our side. So far this season has scored 10 goals and has 10 assists, one more than our own Ryan Fraser. Their new striker Gonzalo Higuain played his first game in the FA Cup on Sunday and with more support from someone like Hazard might have opened his account. Willian another one besides Hazard to watch.